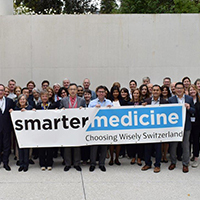 At last month’s Choosing Wisely International Conference, Australia, Canada, the Netherlands and the United States shared results from recent implementation efforts. Despite differences in health care structures and cultures, similar themes emerged across the four countries. These themes included five foundations for de-implementation that each country identified as essential for reducing overuse in health care. Build a community with peers working on a topic. Both Canada and the United States have Choosing Wisely Learning Networks. In addition to our general learning network, the United States convened grantees working on implementation on a bimonthly basis, including one large live meeting for information sharing. The Netherlands convened team members from research projects twice per year, helped connect teams on shared work, and created a shared knowledge bank. Make patient information part of the strategy. Grantees in the United States were successful in developing holistic communications strategies that focused on ground level, face-to-face conversations with consumers and providers, as well as aggressive marketing campaigns to consumers. The Netherlands is organizing two communications interventions on common low-value care themes to inform and influence patients and professionals. Canada continues to promote its “More Is Not Always Better Campaign.” Australia promotes “Five Questions to Ask Your Doctor,” including an annual “Be Medicinewise” week that encourages Australian families to make good health choices, and encourages patient engagement in its state collaborative. Test and cement early partnerships before broadening outreach. Both Canada and the United States have promoted aligning with national health priorities to foster momentum and share resources. 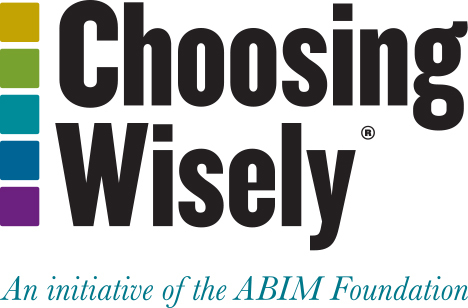 Some of the most successful U.S. grantees helped clinicians see Choosing Wisely not as just another thing to do but as a tool to improve something they were already working on, such as antibiotics stewardship. Drive up from bottom, with support from the top. Canada, the United States and the Netherlands name development of clinician leadership and frontline physician champions as a key strategy for implementation. Provide tools and resources. There’s no guidebook yet for implementation but sharing lessons learned, case studies and tested tools is a valuable complement to a community of peers. The lessons learned were extrapolated from each nation’s major implementation efforts. In Australia, there are Choosing Wisely efforts at multiple levels. Nationally, there are targeted campaigns facilitated through NPS MedicineWise that include interventions such as face-to-face education visits, clinical feedback, accredited online case studies and patient action plans. Seventeen state health services are implementing a broad range of activities, and “what not to do” is being incorporated into national guidelines. Canada offers a national campaign and learning network, including a national meeting, and works with provincial organizations to build local coalitions of clinical associations, patient groups, regional health care quality groups and provincial governments to establish and work on local priorities. The Netherlands is supporting eight de-implementation studies with plans to continue until 2022. The program involves 30 hospitals and GP practices, seven university medical centers and two large-scale communications interventions. The U.S. contributions were based on the three-year, $4.2 million Robert Wood Johnson Foundation-supported demonstration project to stimulate innovation and implementation in communities through collaborations between health systems, community-based health improvement organizations and local clinician groups.